5. Why did you become vegan? Has the reason for being vegan evolved since the initial switch? 6. How is traveling as a vegan? Any major tips to share? 7. What is the best vegan restaurant you’ve ever eaten at? 8. Have you visited or volunteered at any animal sanctuaries or organizations? 10. What other animal, environmental, human or other initiatives are you passionate about and why? Hola! 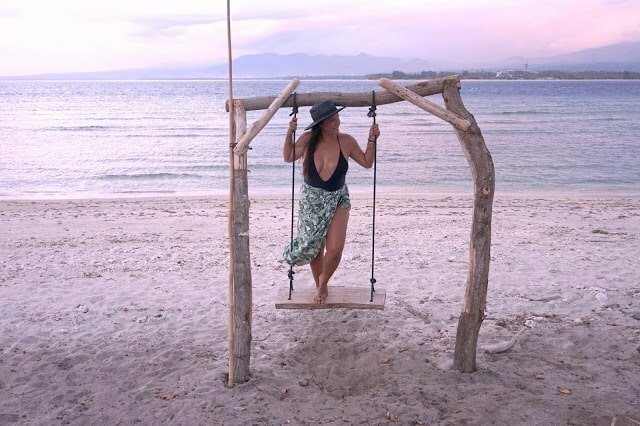 I’m Lola Mendez, the travel writer behind Miss Filatelista. I’m a recovering New Yorker who’s been traveling the world for over three years. I’ve spent the majority of the last year and a half in Asia, and am currently answering this interview from my gorgeous tent at an eco-camp in Vietnam. 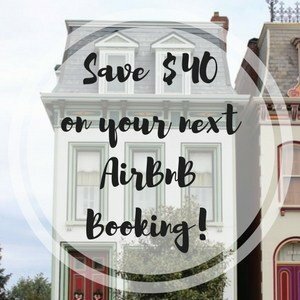 I’m dedicated to responsible travel, meaning I try to make the smallest impact as possible on the places I visit, learn about an areas unique cultural heritage, support local nonprofits and small businesses, avoid single-use plastic, and many other things! I still have so much to see in Asia but lately, I’ve had a strong urge to head back to my father’s homeland, Uruguay, and explore Latin America. I’ve been living out of a single suitcase for the entire time I’ve been traveling, usually a backpack. This doesn’t give me the option to pack heavy! Although it’s still difficult for me to pack light. I worked in the fashion industry in NYC and used to have three entire closets full of clothes…when I left I gave away or donated 10 full suitcases and took at least 5 with me. I was seriously a fashion hoarder but travel has helped me nip that habit in the bum, along with many others. Now I probably have less than 25 pieces of clothing that I rotate and mix and match to try to always feel stylish and as if I’m putting my best self out there. Initially, my travels were funded from my savings. I knew I was ready to leave about 6 months before I resigned from my role as a senior manager at a creative branding agency. I stopped eating out and taking taxis and sold absolutely every piece of designer clothing I owned. It was painful to make such a drastic lifestyle change but I remember coaching myself that each $100 I saved would likely cover the cost of transportation from one country to the next in Europe. It actually cost much less than that to take buses across borders though, especially in the Balkans! For the first year or so of my life overseas, I had steady work first as a cultural ambassador in Madrid and then as the director of a travel company in Florence. 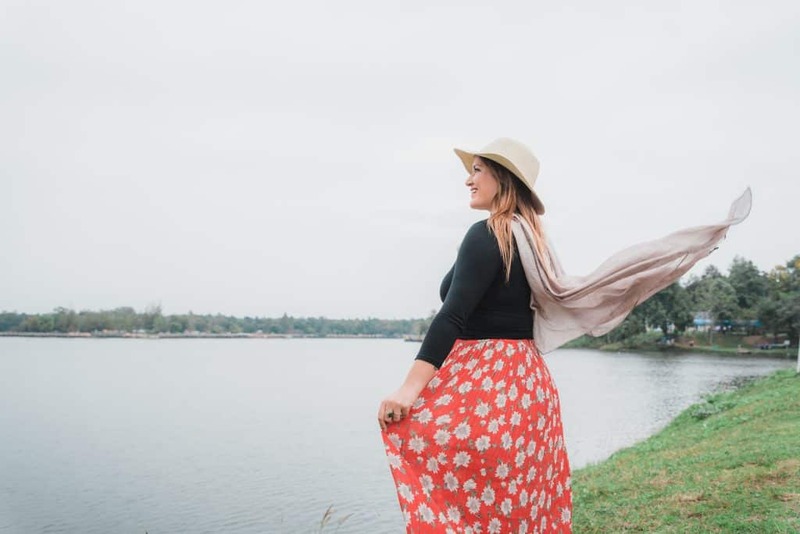 After living in Spain and Italy I started to feel like my life wasn’t really all that different than what it was in NYC so I knew it was time to make the road my home and start traveling full-time. I took on a freelance PR/Marketing client in the sustainable travel field and loved working with them for a year. I had started landing travel writing gigs and being published in various digital publications. I realized this is where my true passion was– in seeking truth, telling stories, and promoting ethical tourism. I’ve been fortunate to enjoy a fantastic career so far as a travel writer and hope to continue to share my experiences with the world in both my travel journal and digital publications. I’ve been daydreaming about Mexico for as long as I can remember! The huge country seems vast with diversity–every state has unique culture, history, music, food, environment, and art. I want to see it all! I know many digital nomads who base themselves around Mexico and absolutely love their adopted home. It also seems to me like a country that could really benefit from community-based travel. 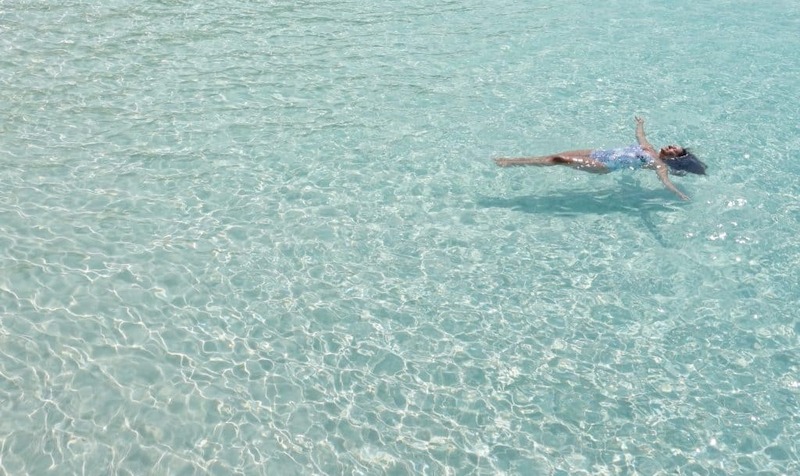 Local tourism operators have to compete with luxury resorts that use fear mongering to keep their clients from wandering outside of their grounds. There are so many cultural heritage and sacred sites to preserve in Mexico–this can be done through sustainable travel. I stopped eating meat when I was 17 and moved to Los Angeles for college because it was expensive and I was so sick and tired of eating it. I grew up in an Uruguayan family in Kansas City–two major meat eating communities. Meat was always on the table, and I never really enjoyed it. As I grew up it was hard to separate meat from animals, going to a petting zoo made me sick knowing these same creatures were being served up somewhere for dinner. I was a pescatarian for just over a decade–so that means I still ate fish, eggs, and dairy. But since late last year, I’ve been strictly vegetarian and trying to become plant-based. I’m not perfect and have had some hiccups. I really really really love cheese made from animal milk. In Asia it was easy to avoid, good cheese is hard to find and hella expensive here, but when I unexpectedly was back in the US for 8 weeks I went wild and ate all the cheese I could find. I felt really guilty about it, and my body felt pretty gross. Being plant-based isn’t exactly easy in Asia either. I’ve been in Vietnam for a few weeks and have had to eat more than my fair share of super oily veggies fried hopefully in plant oil, but possibly meat fat. I spend a lot of my time in remote areas and it can be complicated to find even vegetarian food in these places. I see it as a forced diet and fill up on healthy steamed veggies. Traveling as a vegan is just like being a responsible traveler. To me, it’s now the only way to travel as it makes the smallest impact on the areas we’re so fortunate to visit. Being vegan and a mindful traveler simply requires a bit more research and possibly some creativity. I’m in several vegan FB groups and search through those for restaurant suggestions. 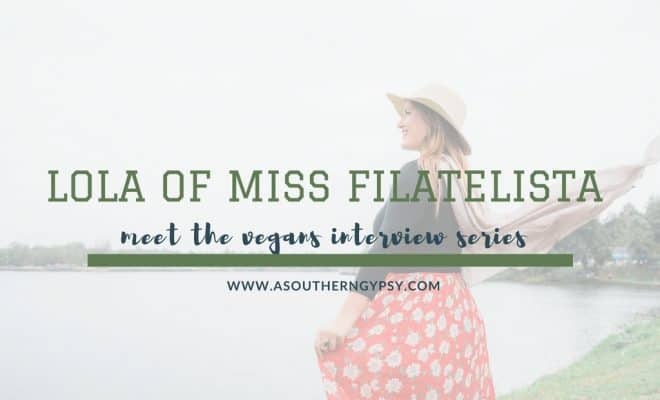 I’ve been so flustered trying to find plant-based meals as I travel that I created a global directory of vegan travel guides including several from A Southern Gypsy! 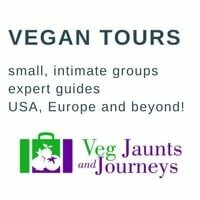 My top tip is to search through the list for your destination and then read what other vegan travelers have written about being plant-based in that city and country. There are so many incredible places serving up thoughtful and delicious vegan food. But most of my favorites are in Chiang Mai where I’ve spent about 4 months of the last few years. I have a permanent Instagram story highlight on my profile page outlining over 25 of my favorite spots on @MissFilatelista. One of my all-time favorite vegan restaurants though is Earth Tone in Pai. The plant-based cafe offers a massive menu of locally inspired dishes with a health-conscious twist. I’ve never seen so many elixirs! Many of the veggies they serve are farm fresh from their backyard garden, making them have 0 food miles. Their coffee is incredible and they have a small shop of ethically sourced beauty, home, and fashion products. The gorgeous cafe is set in an outdoor garden with low slung wood chairs, throw pillows, and lots of ambiance from the small stream that passes by. The prices here are also half the cost of most vegan spots in Chiang Mai, a liter of fresh passion fruit kombucha costs about $3! I don’t volunteer at animal sanctuaries as I’m not a trained wildlife caretaker and it is a danger to the creature and myself for me to have hands-on interaction with animals. These tips outlined in my responsible animal tourism article should be followed when seeking out a volunteer placement with an organization that serves animals. I do love to visit conservatories and support the scientists and vets that are working tirelessly to preserve our endangered species and raised awareness and education about wildlife. My favorite wildlife encounter was taking a jeep safari through Udawalawe National Park where I saw over 50 wild elephants in a single morning–including a tusker! This area is preserved and strictly regulated to serve as a haven for Asian elephants, around 400 live here. Another life-altering animal encounter was when I went on an 8-hour jungle trek in Chitwan, Nepal and saw 12 wild rhinos. We even had to climb up a tree to hide from two who were bathing in a river underneath us. As far as sanctuaries go both the Borneo Sun Bear Conservation Center and Sepilok Orangutan Rehab Center are doing incredible work to conserve the at-risk endangered animals of the most eco-diverse place on the planet. I can’t think of a single social issue that I’m not passionate about. 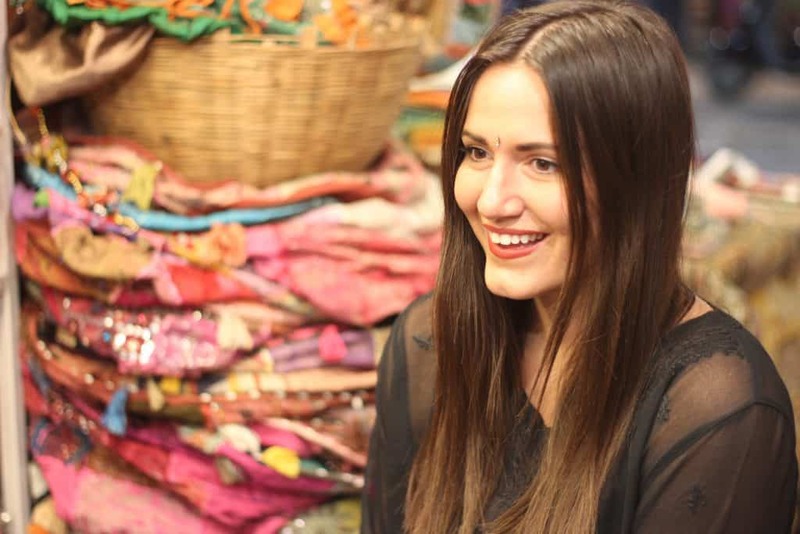 The issue closest to my heart is women’s empowerment, I’ve been speaking out about gender injustice my entire life work with charities that are improving livelihoods for women around the globe. I’ve been demanding stricter firearm regulations and laws throughout my adult life but when gun violence struck the town where my family lives I got more involved in lobbying for gun control. I protested alongside school shooting survivor at the Ft. Lauderdale courthouse, took overnight buses to Tallahassee to reason with legislators about why they must pass common-sense gun laws, and hosted a blood and school supply drive with my sister who is involved in local Broward County politics. The survivors of Marjory Stoneman Douglas are outstanding Americans, they’re leading the change that the generations before them failed to do. I stand behind them 100%, even from afar. I’m disgusted that just this week another mass school shooting has occurred–this time in Santa Fe, Texas. These children had just staged a walkout to demand gun laws just a few weeks ago, which politicians ignored, and now 10 of their fellow students and teachers have been unjustly murdered. Many think America’s gun violence epidemic has nothing to do with travel but our tourism industry will hurt from it. I’ve met many Europeans and Asians who have told me they’re terrified to visit the U.S. because of gun violence. You truly never know where it could strike next. I also advocated and protested for LGBTQ+ rights, environmental causes, accessible health care, and for a fair DACA act for Dreamers. I stand with my fellow POC against Islamophobia, police brutality, unjust exportation of immigrants, and race discrimination and violence. I fight for more accessibility for people with different abilities and so many more causes. I believe it’s our duty to stand up for any issue that is making someone’s life more difficult than it needs to be, even if it has nothing to do with our own situation or lifestyle. I find it harder to get invested in financial causes such as tax cuts or internet security but know those are just as important. 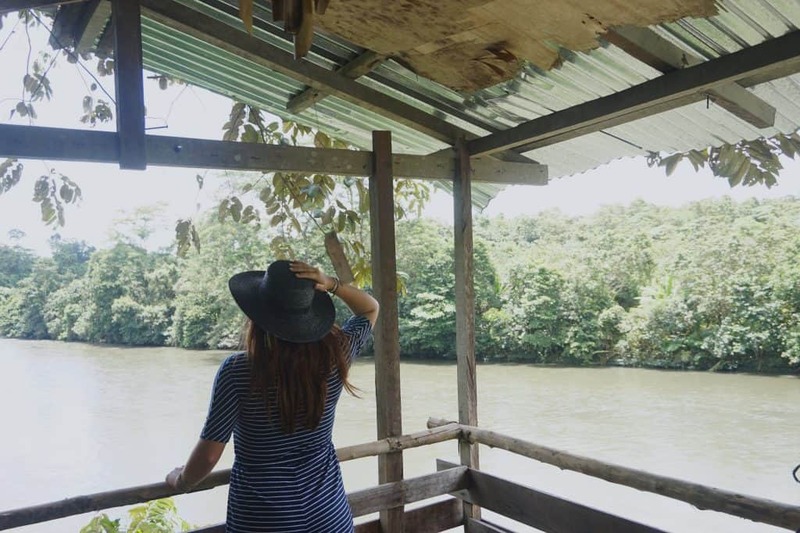 INTERESTED IN FOLLOWING LOLA OR LEARNING MORE ABOUT RESPONSIBLE TOURISM? Awesome read and great life choices Lola.